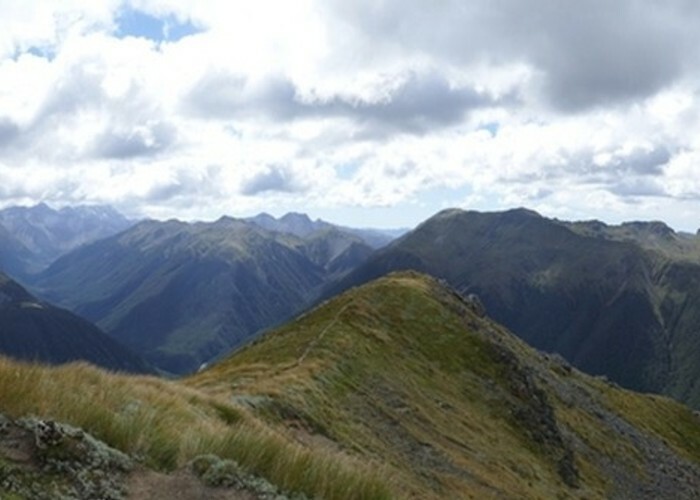 Panorama (click to see the whole pic) from near SH1535, looking along the tops to the descent to Lewis Pass. Added 19 December 2018 by bernieqbernieq. 1 revision 20 December 2018 by bernieqbernieq. 44 views in the past year (9 per month).